A fast configuration, universal and entirely custom interface make it much easier for your customers to search for your map points. 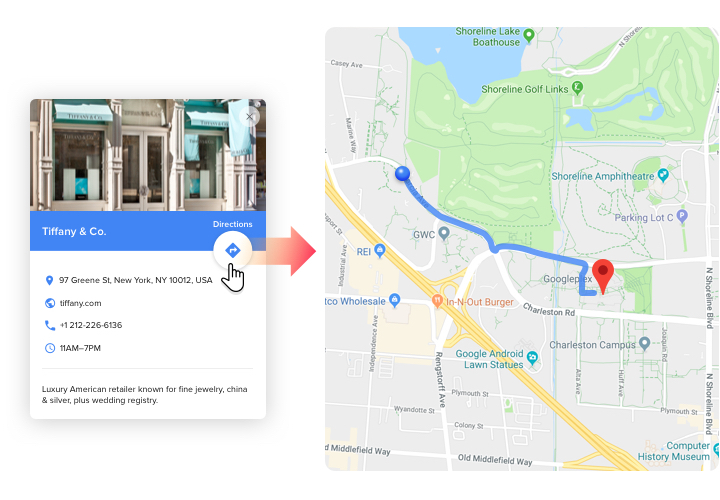 Successfully enticing real-life clients, fast adding to a site and configuring turn it into perhaps the best instrument for each Webflow site.Get more real-life clients using attractive maps on your website! 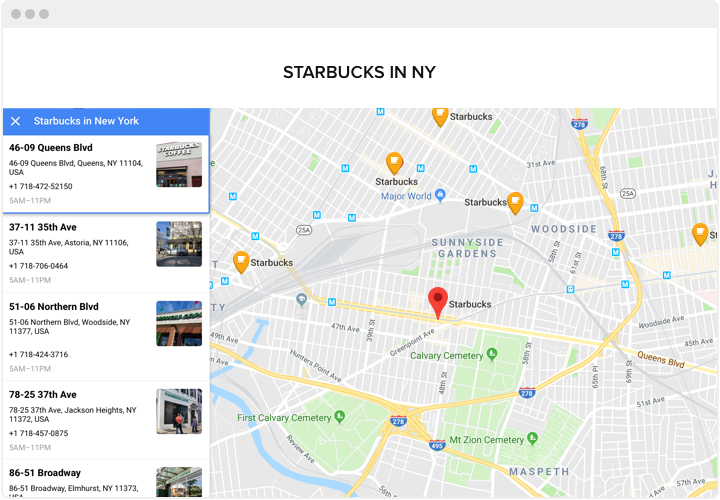 Maximize interaction of your customers with maps. 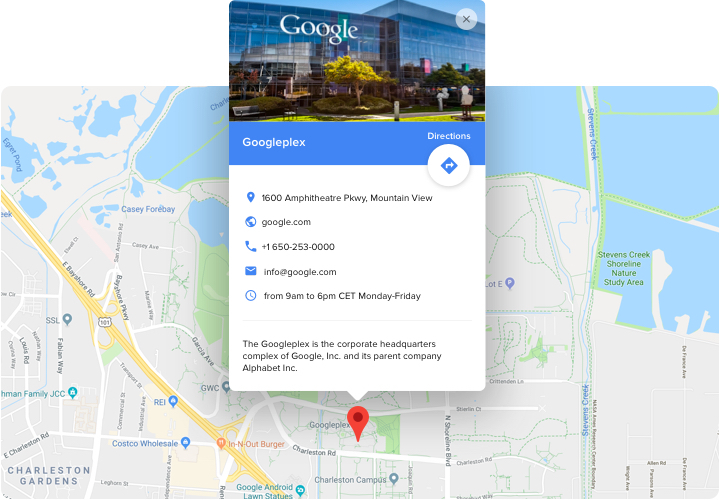 Make a personal map comfortable for visitors and insert it into your website, so that visitors could easily use your contact information. Show a full list of your points on the map. 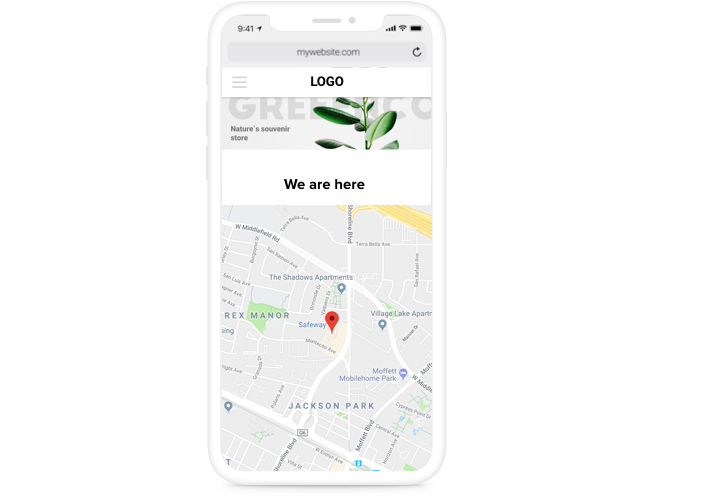 Reveal on the map all available shops, locations of selling or picking goods and allow your customers to have a user-friendly map to find the closets location. Don’t spend your effort on constructing maps. All functions are available in 2 clicks, so you can shape the maximum powerful map for your site only in a several seconds. Which functions make Elfsight map the best for all Webflow sites? Study full list of traits in the panel! 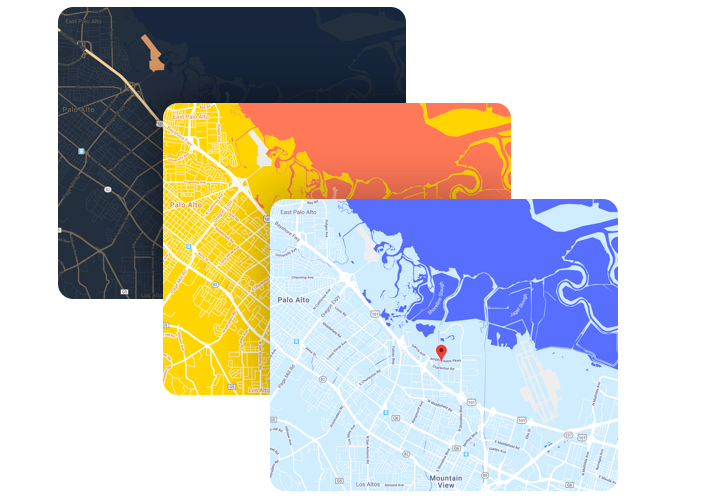 A short guide on installing responsive maps on Webflow on your own. For doing this, you don’t have to hire a developer or have knowledge in developing yourself. Total duration of setup is just 3 minutes. Generate your personal Google maps. By means of our free demo, shape a widget with necessary template and capacities. Copy a code for displaying the widget. After widget generating, acquire a code for Map widget from the appeared notification on Elfsight Apps. Display the widget on Webflow site. Integrate the widget into the needed place of the page and publish the edits. Installation is finished. Go to your Webflow site, to check your map. Having difficulties or problems while following the manual or generating your own map? 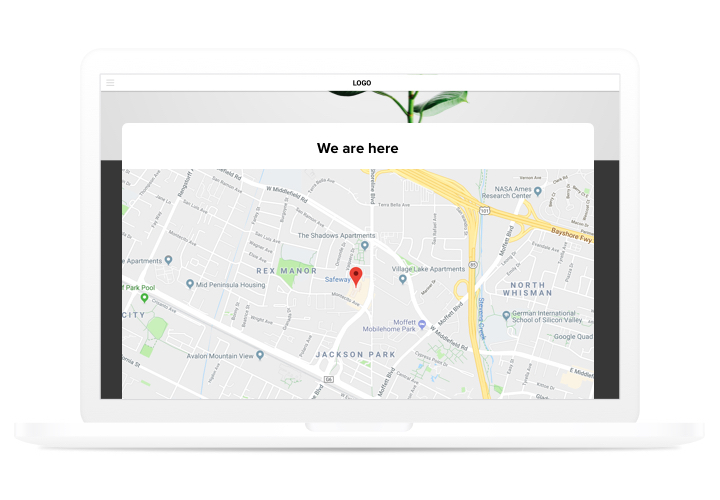 Read an informative instruction «How to place a map on Webflow site» or leave a request at customer support and we will be happy to help you in creating and displaying maps on your site. Set a responsive Map widget quickly and easily!